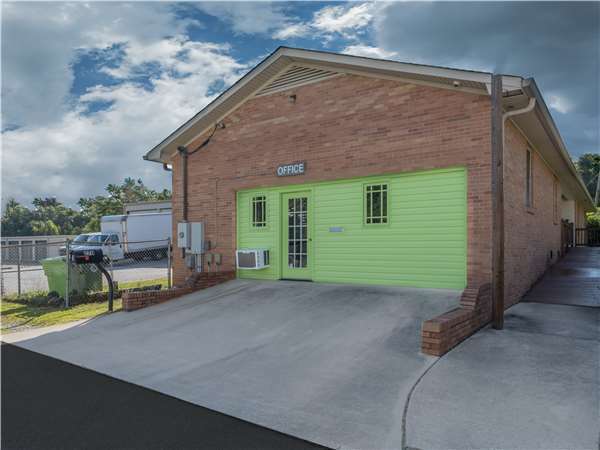 Located on Rabon Rd just west of Flora Dr, Extra Space Storage serves Columbia residents near Dentsville, Killian, Woodfield, Pontiac, and more. Locals will recognize our facility near Korean Methodist Church of Columbia and Columbia Agape Presbyterian Church. With a variety of storage units, drive-up access, vehicle storage, climate-controlled storage, and more, Extra Space Storage on Rabon Rd is the Columbia self storage partner for you! No matter what you plan to store, our Columbia storage facility has the ideal space for you! We offer unit sizes from 25 square feet to 300+ square feet with convenient features like indoor access, first-floor access, and drive-up access. Our Rabon Rd storage facility utilizes advanced security features like 24-hour video surveillance to ensure our customers in Columbia get a safe storage environment and peace of mind. Worried about storing delicate belongings? Rent a storage unit with climate control! These units maintain internal temperatures between 55 and 80 degrees at all times to prevent damage caused by extreme heat and cold. Looking for a more convenient storage solution? With drive-up access units at Extra Space Storage, you can pull a vehicle up next to your storage space for hassle-free unloading and loading. Need to store a vehicle in Columbia? Extra Space Storage offers enclosed drive-up units and large outdoor parking spaces to accommodate RVs, boats, cars, and motorcycles! From our clean, secure, well-maintained facility to our friendly, professional team, we go the extra mile at Extra Space Storage. We strive to provide a high-quality, dependable self storage solution backed by exceptional customer service to ensure our customers have an unforgettable experience. Contact us today to reserve a storage unit in Columbia! Drive south on I-77 S. Take Exit 19. Turn left onto Farrow Rd. Turn right onto Rabon Rd. Our facility will be on your left after Pine Lee Rd. Drive north on I-77 N. Take Exit 17. Turn right onto Two Notch Rd. Turn left onto Rabon Rd. Our facility will be on your right after Flora Dr.
Drive southwest on Two Notch Rd. Turn right onto Rabon Rd. Our facility will be on your right after Flora Dr.
Drive northeast on Two Notch Rd. Turn left onto Rabon Rd. Our facility will be on your right after Flora Dr.